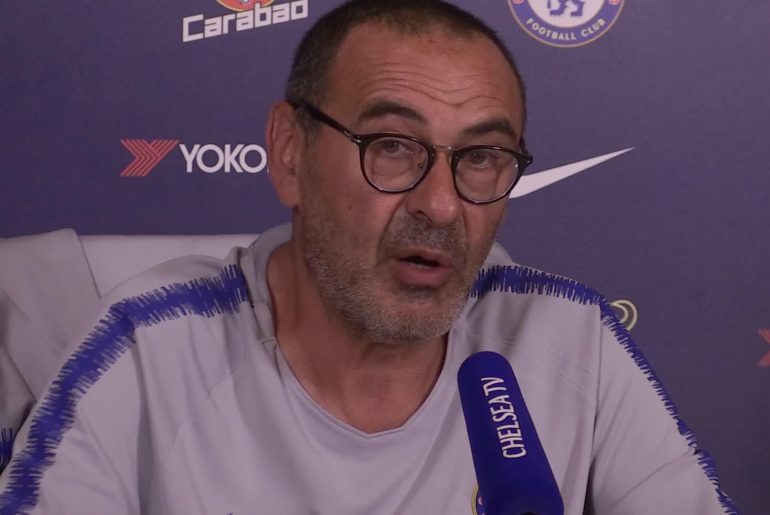 Maurizio Sarri has revealed he expected Chelsea to go on a bad string of results after an impressive start while adding it was “impossible to work” in his first season at the west London club. Sarri guided the Blues to a spectacular start in the Premier League, wherein he set a record for the best start by a new manager while also initially impressing with his famed footballing philosophy affectionately called Sarri-ball. The unbeaten run extended to 18 matches in all competitions, yet as Tottenham Hotspur handed the Stamford Bridge outfit their first league loss in November, Chelsea has since embarked on indifferent performances and results. Up to now, they have lost another six league matches, including 6-0 and 4-0 maulings by Manchester City and Watford respectively. As the former beat them to the League Cup trophy as well as Manchester United sending them tumbling out of the FA Cup, Sarri’s position at the club went under intense scrutiny although the Europa League remains his saving grace. The west Londoners remain unbeaten in Europe, having won nine of ten games, and if a top-four finish in the league may well be beyond them, Europe’s second-tier club competition offers them another way to qualify for Champions League football next season with a supposedly easy run-in to the final starting with a quarterfinal meeting with Slavia Prague next week. Yet problems exist for the Italian not only on the pitch but also on the stands. Chelsea’s supporters have repeatedly voiced their displeasure towards Sarri’s preferred approach, have targeted players like Jorginho in particular, while sections of the crowd have also called on the departure of the ex-Napoli manager himself. Matters seemed to worsen last week as, despite a 2-1 victory over Cardiff, the travelling fans repeatedly chanted “f*** Sarri-ball” and “we want Sarri out” owing to the west Londoners’ subpar displays which translates to the fact that the onus for the 60-year-old head coach then, is to marry results with his preferred philosophy. 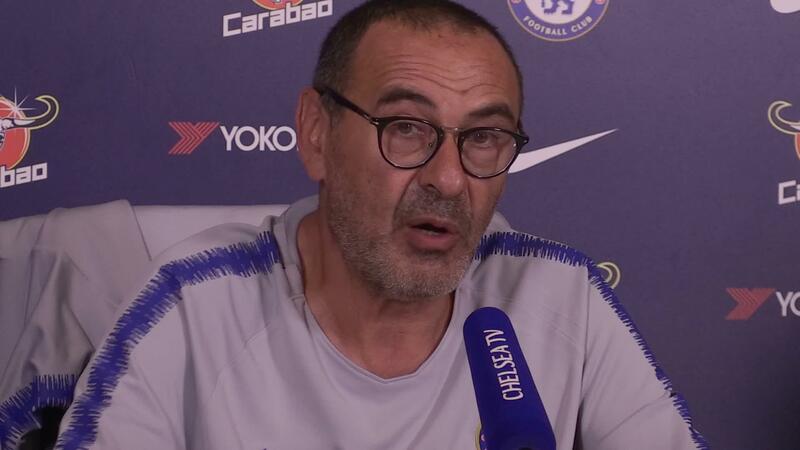 In a recent interview, Sarri has reflected on the past few months of his Chelsea career, saying he always expected his side to fall away after such an impressive start. “Yes, as I said before, probably we started too well. Probably our fans thought that it would be an easy season for us. In the Premier League, I think that it’s not easy,” said the ex-Napoli manager. “Every match is very difficult, every team is really very strong. It’s really very difficult to be in the top four in this championship. Owing to the last two season’s Premier League and FA Cup success under Antonio Conte, Sarri reckons supporters may have found it normal to sustain their winning ways easily. That view, Sarri insists, couldn’t be further from the truth. 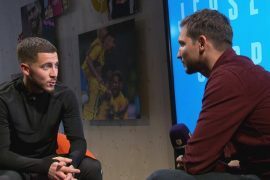 “Probably, in the last seasons, they were used to winning. So probably they thought that it was normal to continue to win. But it’s not normal,” added Sarri. “I think that the other teams, in the last seasons, have improved a lot from all points of view. So now, the Premier League is really, really very difficult, also for a big club like Chelsea. The ex-Napoli manager’s late arrival at Chelsea last summer, with the club having to deal with a contract standoff with the sacked Conte, meant the west Londoners did not have a great pre-season and Sarri insists this did not totally work in his favour. “I need to work, I think and in the first season, it was impossible to work,” concluded Sarri.